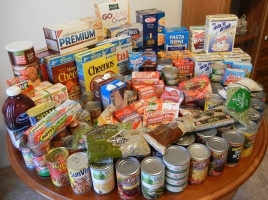 Marquette Bank is encouraging customers and neighbors to donate non-perishable food items at any Marquette Bank location as part of its Neighborhood Food Drive. Items will be collected through June 21, 2014 and will be distributed to local pantries and neighborhood food banks through the Greater Chicago Food Depository (GCFD) and the Northern Illinois Food Bank (NIFB). Donations can be placed in food barrels at any of Marquette Bank’s 22 Chicagoland locations. For more information about Marquette Bank’s Neighborhood Food Drive, call (888) 254-9500.